As this year is coming to an end, it’s time for a quick recap of the best jewelry trends we have seen so far. New York jewelry designers have created amazing pieces and some of them will stick with us in 2019 as well. There was a lot happening in the world of NYC jewelry this year, so Ana Luisa has created a top of the best trends. Read further to find out which New York jewelry designer pieces have made our top. We think it is safe to say that this year can be named the year of hoops earrings. Whether you are looking for New York jewelry in Chicago or anywhere else, every respectable jewelry store sports at least a pair of hoops. From the classic 90s hoops to creative new designs, New York jewelry designers have surpassed all our expectations. Classic solid gold hoops, white gold hoop earrings, mini hoops or twisted hoop earrings – you name it, Ana Luisa jewelry store in New York has it. All that’s left for you to do, if you haven’t by now, is to decide which pair of hoop earrings is ideal for you. Speaking of big trends, rose gold jewelry emerged this year as one of the most powerful jewelry trends. It even got out of the jewelry world and translated into clothes, purses and other fashion items. If you are looking for rose gold NYC jewelry, you have a lot of chances of discovering it at most jewelry shops in New York. For example, in Ana Luisa’s new collections you will find stunning solid rose gold studs and a beautiful vermeil rose gold ball chain necklace. Blush gold will continue to be very popular in 2019 as well, so it’s time to upgrade your jewelry collection. And since this is such a beautiful and feminine color for gold, we sincerely hope that this trend is here to stay for good. The signet ring trend is a rather new one for NYC jewelry. However, we expect it to become one of the most important trends of 2019 as signet rings have a unique charm. Whether you want an all-metal signet ring or one that features gemstones, you will find this fantastic jewelry piece in New York jewelry stores. Bold gold signet rings look amazing, especially when you wear them on the pinky. 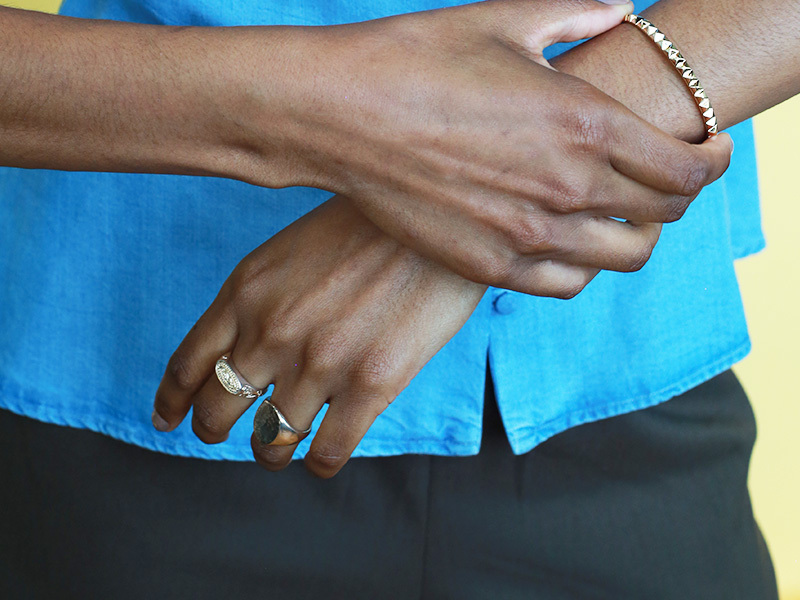 Get creative with a signet ring by Ana Luisa and start wearing bold jewelry. It comes as no surprise that the layered necklaces have replaced the chunky statement chokers in NYC jewelry designs. What started as a trend of wearing multiple necklaces at once soon became a fashion statement. New York jewelry designers have created pre-layered designs which will help you get this trend right. Whether you are looking for a dainty layered necklace or a necklace featuring multiple pendants, you will find it in Ana Luisa’s jewelry collection. Go ahead and make room in your jewelry box for a fantastic layered necklace. And since we are still in the necklace section, it’s time to talk about a new and irresistible appearance in NYC jewelry designs. The coin necklace has a vintage charm and a subtle elegance that make it ideal to wear every single day. We are big on coin necklaces at Ana Luisa, so go ahead and check them out. Nature-inspired coin pendants, historic coins hanging from oversized link chains or statement coin necklaces that sparkle beautifully and offer you a festive feeling await for you in our NYC jewelry collections. Ever since Miley Cyrus sported a fabulous oversized link chain necklace, the fashion world became obsessed with the metallic look. At the end of this year, and for sure, the next year as well, necklaces, bracelets, and even earrings show link designs that are simply fabulous. If you want a pair of link earrings, a sleek silver link bracelet or a chunky link necklace, you will find them in Ana Luisa’s new jewelry collections. Enter the new year in style with your flashy metallic look and irresistible smile. With more and more celebrities wearing mismatched earrings, it was only a matter of time until New York jewelry designers started to incorporate this trend in their creations. And we are grateful they did it. Because now we get to wear stunning creative designer like the mismatched hoop earrings or ball drop earrings in different colors. 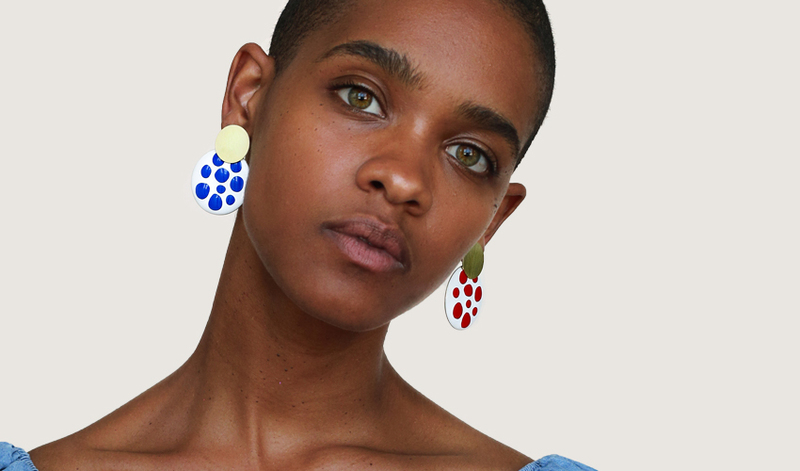 There is more to the mismatched trend than meets the eye but, if you want to make sure you get it right, buy an already mismatched pair of earrings. Otherwise, it can be tricky to match different earrings and get a balanced look. NYC jewelry is creative and fun, as the New York jewelry designers have shown us this year. We can’t wait to see what happens in 2019. But, until then, stay on top of trend with Ana Luisa’s help. Read our other articles as well for more jewelry styling information and, of course, visit our online jewelry shop. Discover unique NYC jewelry designs that you will fall in love with.